First finish from my 2013 To Do list! This entry was posted in talk to me tuesday, To Do List 2013 and tagged to do list 2013, ttmt on January 29, 2013 by Jennifer Ofenstein. My husband takes a size 12 and he is 5’6. Love your finish. 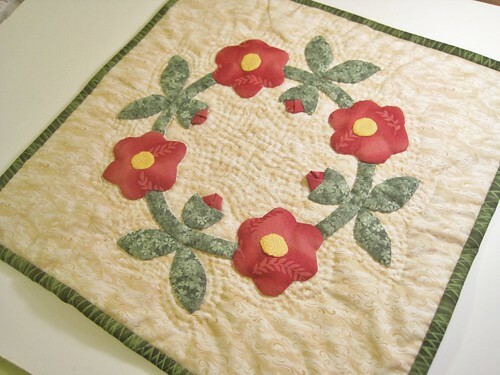 I especially like how you only quilted around the flowers.